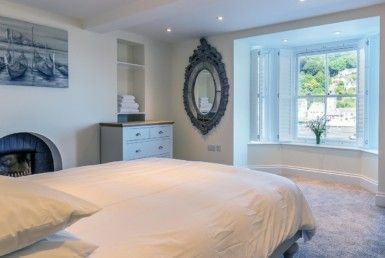 The South Cornwall coast is the perfect for a little holiday for couples and where better to stay than in one of our self catering apartments and cottages in and around Looe. 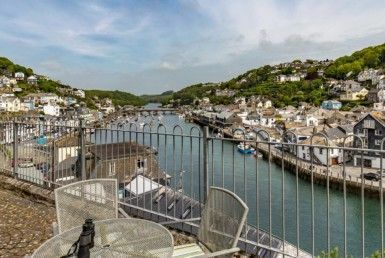 We’ve got apartments with attractive balconies so why not relax with a glass of wine with your loved one enjoying the views over the Looe River or Cornish countryside. The South West Coastal Path runs through Polperro, Looe, Polruan and Whitsand Bay. We’d recommend stopping for a Cornish Cream Tea along the way or just enjoy the dramatic Cornish coastline. Looe has an excellent range of restaurants and cafés to cater for all tastes and budgets. Please visit our Self Catering Holidays in Looe page for some suggestions. The area around Looe is blessed with a number of delightful National Trust (and other properties) such as Cotehele, Anthony, Port Eliot, Lanhydrock and Mount Edgcumbe. The National Trust also owns and maintains a number of bays and stretches of coastline near Looe. Is fast becoming an event to add to the musical calendars. With artists as diverse as Lulu, Jools Holland and the Stranglers performing, as well as some very lively lesser known artists a trip to Looe in September has some extra benefits! Hannafore Rd, Looe, Cornwall, PL13 2DD. Welcome to Looe Holiday Lets an independent run business situated in Looe, Cornwall since 2005. My aim has always been to provide the personal touch so many larger companies fail to deliver to my guests and owners. I ensure each property is of the highest quality and will be there to welcome you or answer any queries you might have during your stay in Looe.